SCROLL DOWN TO BOOK A TOUR EXPERIENCE! Welcome to Undiscovered Charleston, where acclaimed South Carolina Chef Forrest Parker takes you down the paths less traveled. 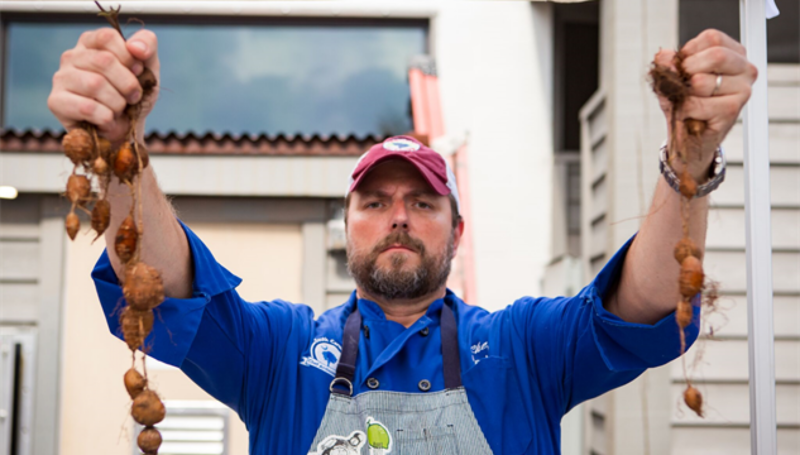 Chef Forrest shows you HIS Charleston, distilling 400 years of history into a 3-hour guided walking tour experience culminating with a cooking demonstration and 3-course tasting of the iconic flavors of the South Carolina Lowcountry. Click here to book a tour. Some visual treats and newsy tidbits in this section of our website give you a glimpse of Chef Forrest’s work. Click here to read what food writers say. The Undiscovered Charleston blog is a collection of Chef Forrest’s heritage-infused experiences and observations. Click here to read his blog. Visit the Undiscovered Charleston online market to purchase some of Chef Forrest’s favorite South Carolina finds. Click here to shop.